Manufacturer & Exporter of Stainless Steel 309S Round Bars & UNS 30908 Round Rods, SS 309 Bright Bars, Steel 309S Rods, 309S Hexagonal Bar Suppliers in India. We Neon Alloys are manufacturer and exporters of 309S Stainless Steel Round Bar. 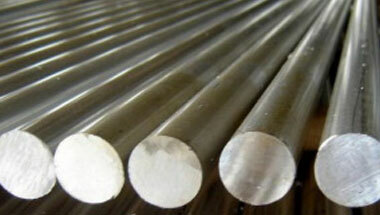 Our assortment of round bars is extremely acclaimed by our customers for its quality. In order to meet complete satisfaction from customers, we check the entire round bars on various factors of input. The range of 309S Stainless Steel Round Bar which we provide is made as per the industrial standards which meet all the diverse needs of various industries. Fabricated with top quality stainless steel these bars are highly demanded due to their dimensional accuracy, corrosion resistance and excellent finish. Our SS 309S Round bars are exclusively made in accordance to meet the set quality standards. Moreover, the clients can avail the Stainless Steel Rods at very moderate prices. Stainless Steel 309S Round Rods Manufacturer, SS 309S Forged Bar, Steel 309S Hex Bar, Stainless 309S Hollow Bar, Werkstoff nr. 1.4828 Black Bars Supplier in India. Chine, Thailand (Bangkok), Kuwait, Mexico, South Africa, Azerbaijan, Indonesia, Uganda, Iran, Democratic Republic of the Congo, Brazil, Canada, UAE, Colombia, Peru, New Zealand, Houston, Iraq, Ghana, Bahrain, Cameroon, Kazakhstan, United States, Tunisia, Angola, Africa, Trinidad and Tobago, Australia, Nigeria, Saudi Arabia, Turkey, Egypt, Sudan, Argentina, Dubai, Vietnam, Mozambique, Sri Lanka, Ethiopa, UK, Malaysia, Israel, Algeria, Germany, Venezuela, Morocco, Italy, Jordan, Russia, London. Abu Dhabi, Pretoria, Bethlehem, Dar es Salaam, Giza, Singapore, Durban, New York, Algiers, Freetown, Brazzaville, Kaduna, Alexandria, Maiduguri, Riyadh, Beirut, Jerusalem, Doha, Kinshasa, Kano, Zaria, Antananarivo, Aqaba, Addis Ababa, Cairo, Nairobi, Port Harcourt, Khartoum, Ouagadougou, Yaoundé, Jeddah, Mogadishu, Dubai, Harare, Johannesburg, Dakar, Tripoli, Soweto, Dammam, Lusaka, Ibadan, Lagos, Manama, Colombo, Mecca, Tehran, Luanda, Maputo, Bamako, Sharm el-Sheikh, Rabat, Kolwezi, Cape Town, Conakry, Data from the UN, Lubumbashi, Amman, Bulawayo, Mbuji-Mayi, Tel Aviv, Abidjan, Kampala, Muscat, Omdurman, Casablanca, Istanbul, Byblos, Port Elizabeth, Subra al-Haymah, Cairo, Accra, Douala, Hong Kong, Fez, Benin.